The post Massy United Insurance Semifinals Bowls Off Tomorrow appeared first on St. Lucia News From The Voice St. Lucia. The post Coards Untied! appeared first on St. Lucia News From The Voice St. Lucia. The post Be Fruitful and Multiply appeared first on St. Lucia News From The Voice St. Lucia. 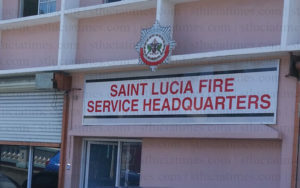 The post King: Firefighters Strike Action Violates Collective Agreement appeared first on St. Lucia News From The Voice St. Lucia. The post Saint Lucians Welcome Prince Charles appeared first on St. Lucia News From The Voice St. Lucia. The post Public Complaints Mar Prince Charles’ Visit appeared first on St. Lucia News From The Voice St. Lucia. The post New President for NCOPT? appeared first on St. Lucia News From The Voice St. Lucia.